LIVE BEACH CAM CLICK HERE! Paddle board rentals begin at $65 per day and $170 per week. 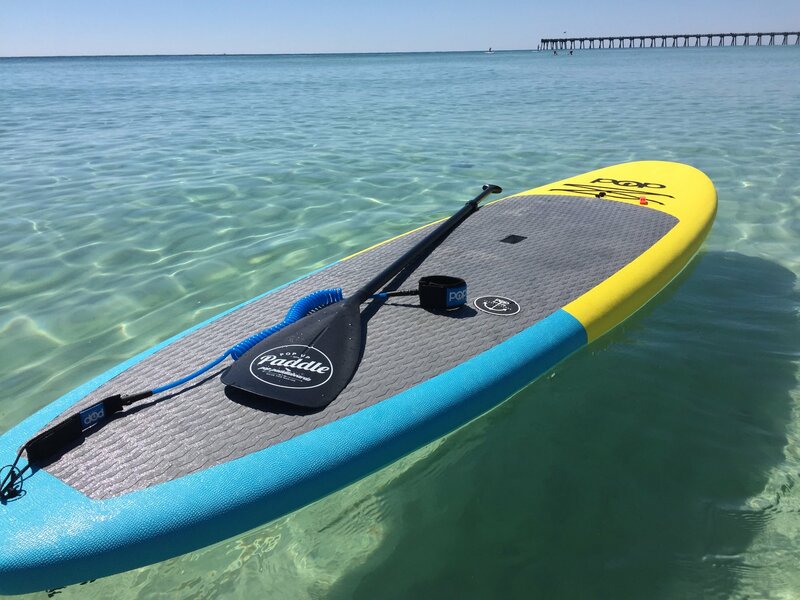 Scroll down to see pictures, pricing, and information about each paddle board rental. CLICK ON EACH PRODUCT BOX BELOW FOR FURTHER DETAILS! 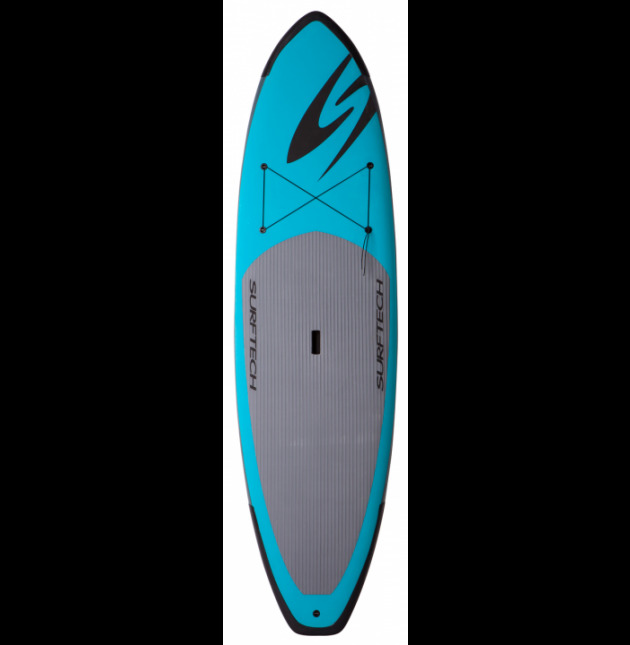 Check out our new line of stand up paddle boards from Surftech! 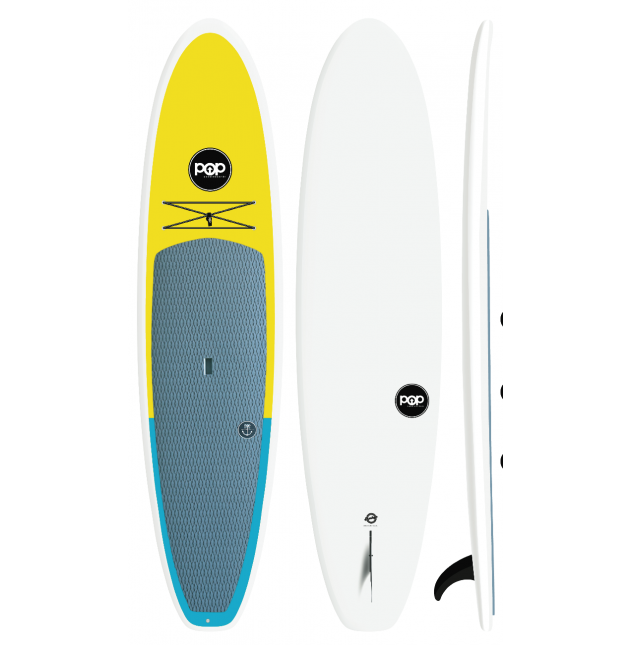 The 10'6 & 11'6 Lido paddle board rentals in two sizes and colors. Strong and light. Our clients avoid damage fees because the boards are very ding resistant. The shape also makes the paddle boards VERY EASY AND STABLE TO RIDE. The 11'6 Lido can hold as much as 420lbs and remain stable. CHOOSE QUALITY. WHY CHOOSE THE RENTAL SHOP 30A? Fast & Free Delivery- We have custom trailers and truck racks to deliver boards faster than anyone. 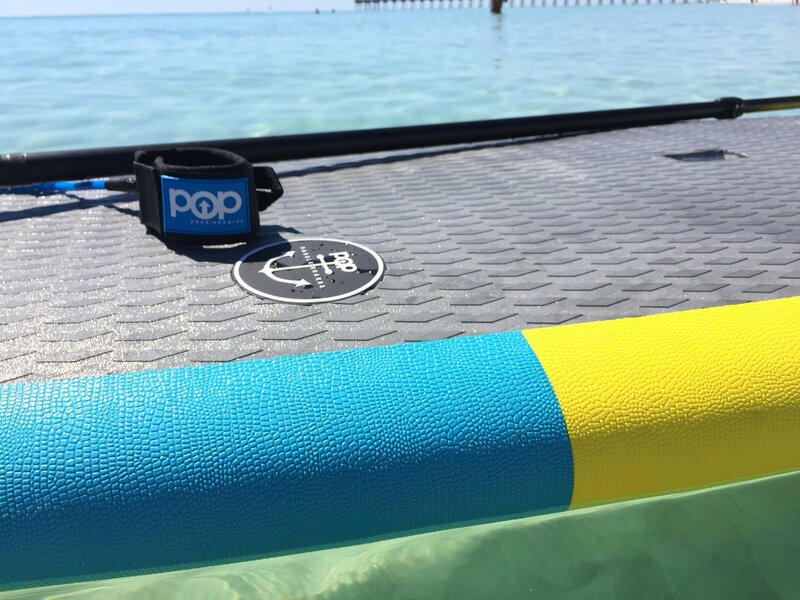 All paddle board rentals come with a lock, personal flotation devices, and an adjustable paddle! Lock the board when you are done, and give the owners a call for pickup. 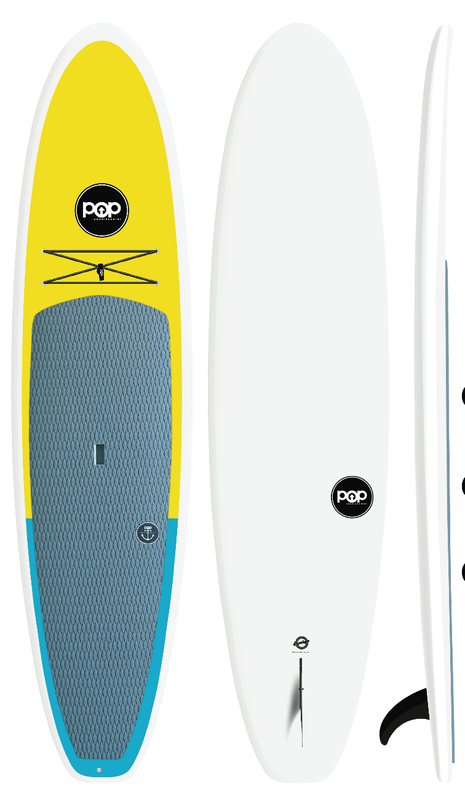 Brand New Pop Amigo Paddle Boards Arriving late April! 11'6 in Blue/Yellow design. 10'6 in Mint/Orange Design. What makes their boards better? Their SUPS have more volume to them, which means the boards can hold heavier riders and the board will remain more bouyant above the water. 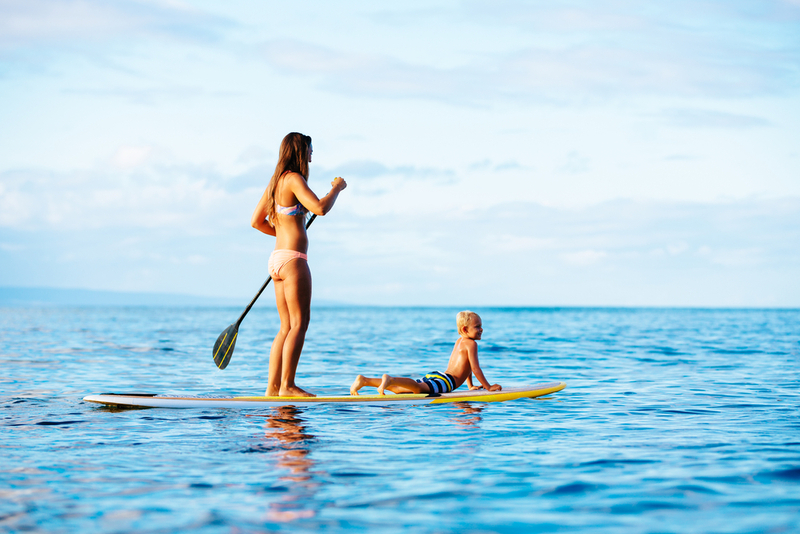 All paddle boards come with an easy to carry handle. Instead of the board having a small handle that only fit the clients knuckles, all boards have a handle that reaches fully under the board in a U shape. Beach towns we deliver in: All of Santa Rosa Beach along scenic highway 30A, Some parts of Panama City beach, Sandestin Resort, Topsl Beach Resort, Topsail Hill State Park, Miramar Beach, and Destin not passing beyond the Destin Commons. All of the beach communities within Santa Rosa Beach known as Dune Allen Beach, Blue Mountain Beach, Grayton Beach, Redfish Village beach accesses, Watercolor, Seaside, Watersound, Seagrove Beach, Alys Beach, Rosemary Beach, Seacrest Beach, Rosemary Beach, Inlet Beach, Carillon Beach. Small delivery fee may apply for certain parts of Panama City beach. Please call with your location to see! For families with teens, please consider the inflatable or thermo molded abs plastic boards. They are more teen friendly than the soft top boards! 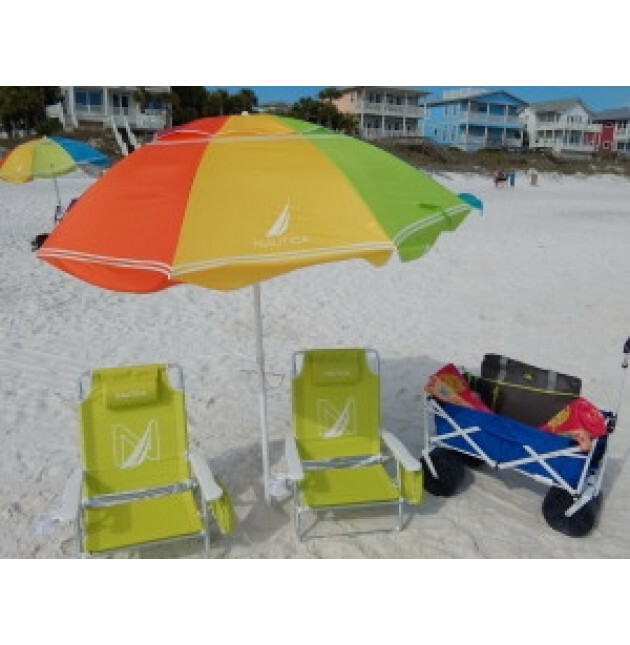 All paddle boards are delivered at the top of beach accesses or to rental home driveways. For clients that need assistance bringing the kayak or paddle board from the top or bottom of the beach please call us for details. For fast delivery please call the night before and book your kayak or paddle board rental the next morning. Dont worry about choppy ocean conditions. Staff can meet at Dune Lakes for a fun filled day of exploring the area. For same day deliveries, call first thing in the morning. 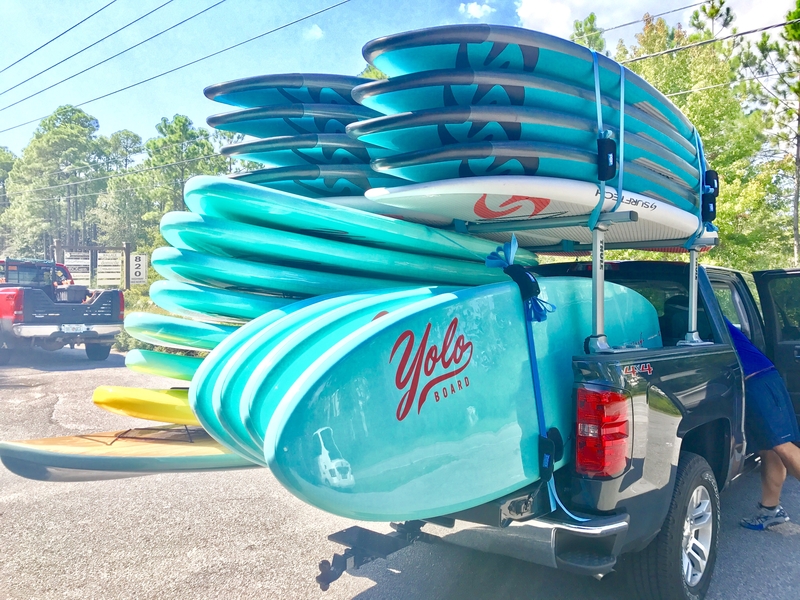 OUr kayak and paddle board trucks are usually in many areas with extra boats until noon. For choppy ocean days try renting a kayak or meeting The Rental Shop at many local Coastal Dune Lakes that are great for paddle boarding or kayaking. Clients can spend hours exploring. 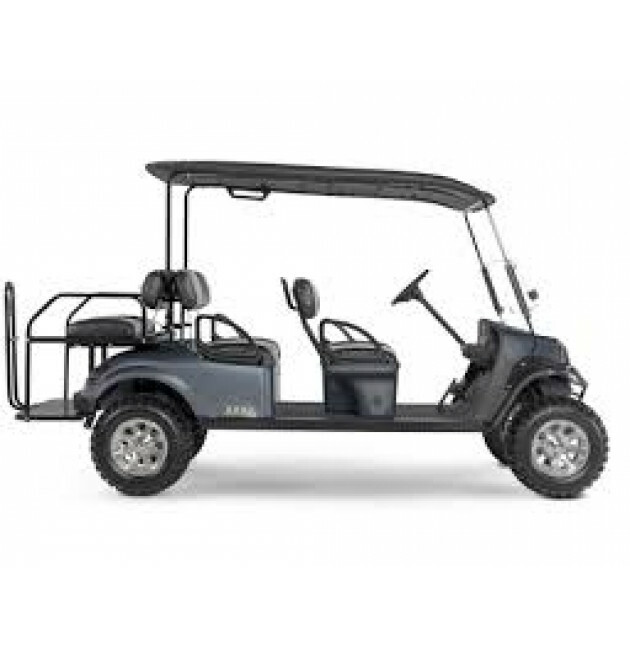 Call 850-260-0001 NOW for Fast and Free Delivery to your favorite local public beach access, your beach vacation rental or one of the local 30A lakes. The Rental Shop has quikcly become a specialty stand up paddle board rental shop. They are the only company in the area to offer just about any type of stand up paddle board rental that anyone would love to ride on! What you see if what you get!!! All items listed below are the exact items you will receive upon booking! Choose from lightweight and super stable inflatables (Only the best...Owner approved!! 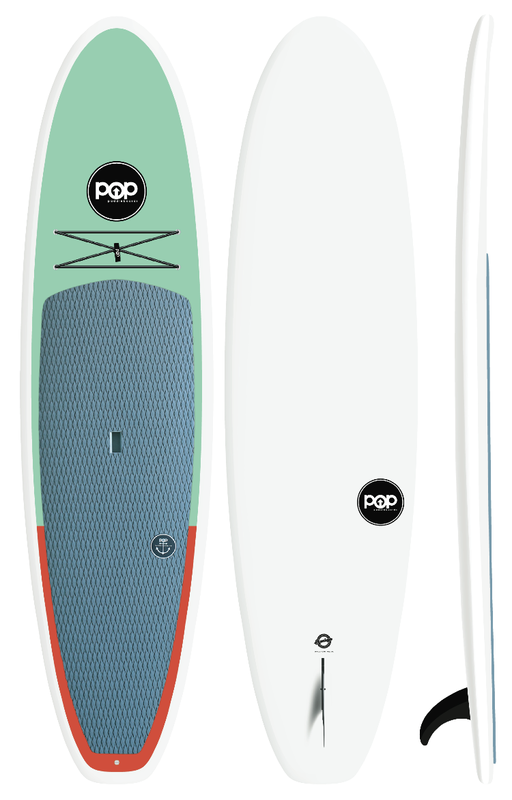 ), soft tops, fiberglass, and plastic paddle boards!